It's unclear how the door opened for the girl to fall out, an official said. 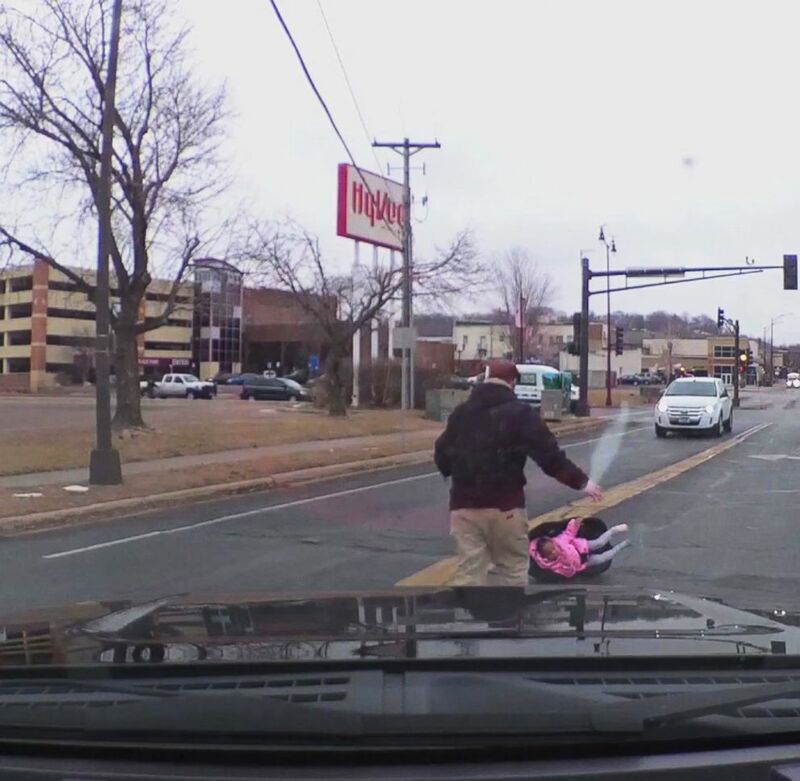 A Minnesota motorist was in for quite a shock when he turned the corner onto a busy street and saw a child still strapped to their car seat on the ground in the middle of the road. 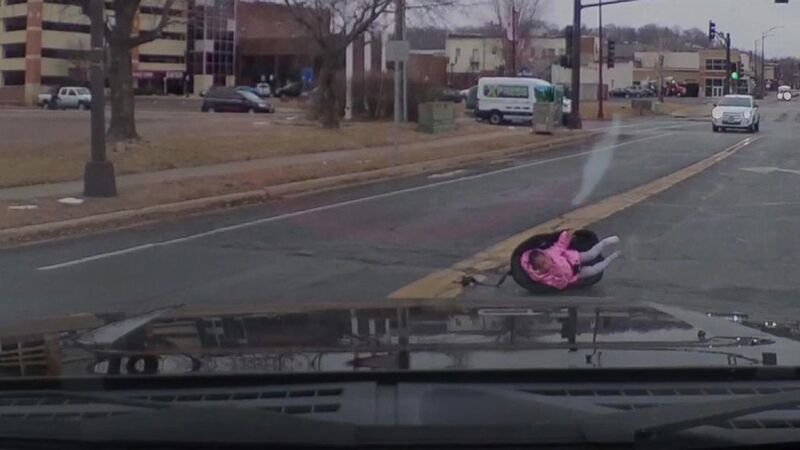 (Chad Cheddar Mock via Storyful) A child strapped to a car seat was saved after she fell out of a car onto the middle of a busy road in Mankato, Minn.
Video from the driver’s dash cam shows the man stop his car on a street in Mankato, exit his vehicle and start waving his hands in an effort to stop oncoming traffic as he picks up the child on Monday morning. The man then pulled his car over to the side of the road and waited for the child's mother to circle around and come back for the child, according to Daniel Schisel, public safety commander of the city of Mankato. Police were dispatched to the to the scene at around 11:45 a.m. after calls came in reporting the 2-year-old laying in traffic, according to a Facebook post from the city. The baby had fallen from the rear driver's side of her mother's car, the post said. Although she was strapped to the safety seat correctly, the seat itself was not correctly fastened to the seat in the vehicle, Schisel said. It's unclear how the door opened, allowing the child to fall out, he said. Public safety officials and ambulance staff examined the child and determined she was not injured. Officials are requesting charges of child endangerment and child restraint system not fastened.